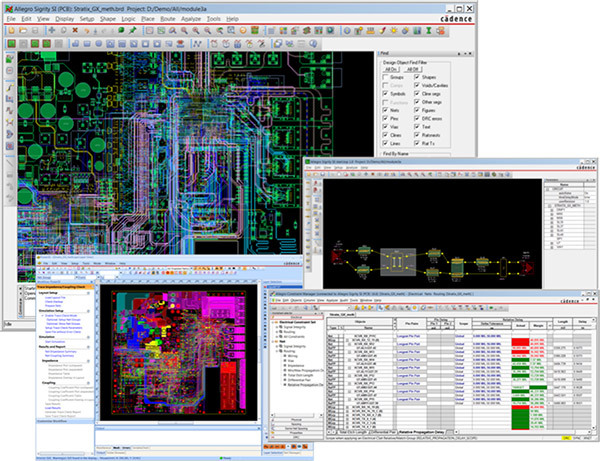 Integrated with Cadence® Allegro® PCB and IC package design, editing, and routing technologies, Allegro Sigrity™ SI provides advanced SI analysis both pre- and post-layout. Operating early in the design cycle allows for “what if” scenario exploration, sets more accurate design constraints, and reduces design iterations. Allegro Sigrity SI reads and writes directly to the Allegro PCB and IC package design database for fast and accurate integration of results. It provides a SPICE-based simulator and embedded field solvers for extraction of 2D and 3D structures. It supports transistor-level and behavioral I/O modeling, including power-aware simulation using IBIS models. Parallel bus and serial channel architecture can be explored pre-layout to compare alternatives, or post-layout for a comprehensive analysis of all associated signals. Learn how SiriusXM more than doubled the density and clock rate of previous designs using Sigrity tools to simulate and optimize the DDR3 interface before releasing their boards.